Anthony started summer school today, and had a great time. We saw a bunny in the lawn when we came home, and so Anthony did his ninja-sneak moves to get a close look at it. In the process, we saw another bunny, two groundhogs, and a gaggle of geese. Country living has its benefits. Along those same lines, while stalking the bunny, a particularly vivid flower almost burned my retinas. There are flowers of every imaginable colors all over my folks' property, but these particular flowers, even though it was mostly cloudy and overcast with some impending rain, positively glowed as if they were from Chernobyl. Sadly, the current state-of-the-art in digital imaging just can't handle this kind of scene. I underexposed it a bit so that I wouldn't blow out any of the color channels, so the detail has been captured, but restoring the brightness even a little causes the detail in the flower to be totally lost. It all becomes one big solid mushy mess. 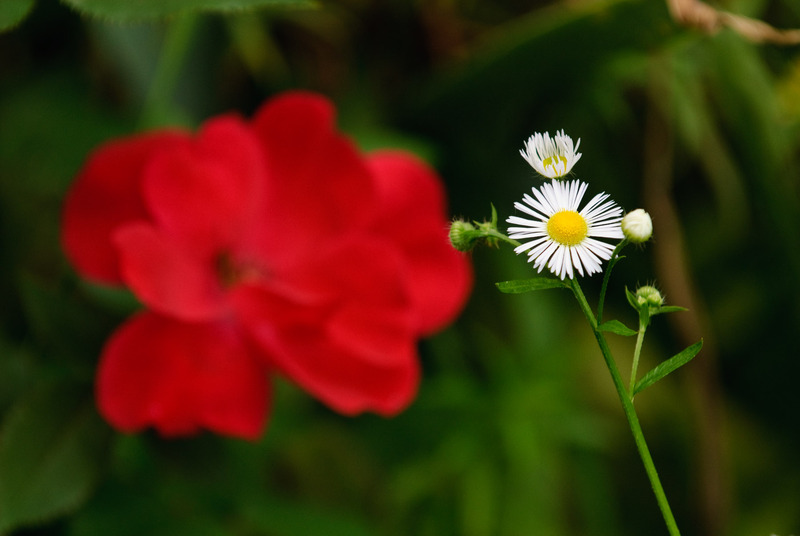 I'm not exactly sure why this needs to be this way – is the dynamic range of the flower really that wide? – but it's likely related to the dynamic-range issues I brought in my post on HDR. Along “country living” lines, after returning to take a picture of the flower, I saw the aforementioned gaggle of geese down by the lake, I thought to get a picture of them. I'm so mean... I ran down there and startled them, just to get an action shot. They left a cloud of downy feathers that slowly settled amid a few honks of objection. I'm horrible. That’s ok. 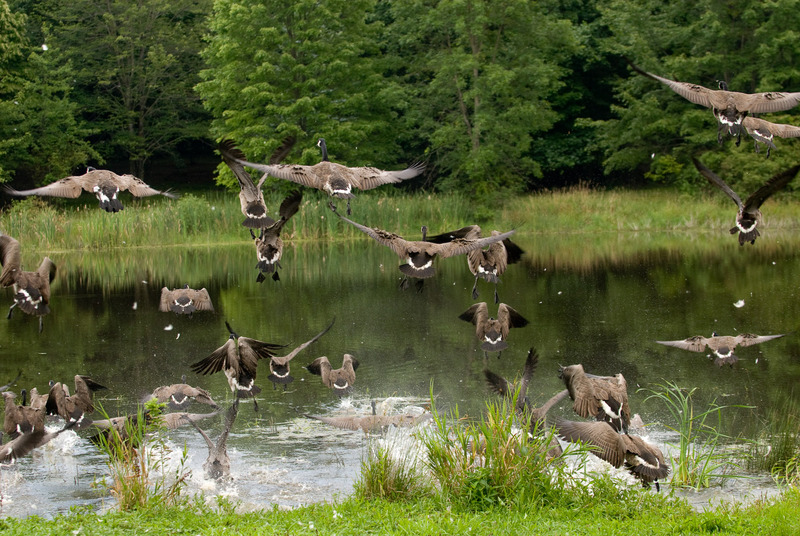 If you ran down near the geese to startle them, they’ll have had the last laugh – check your shoes. 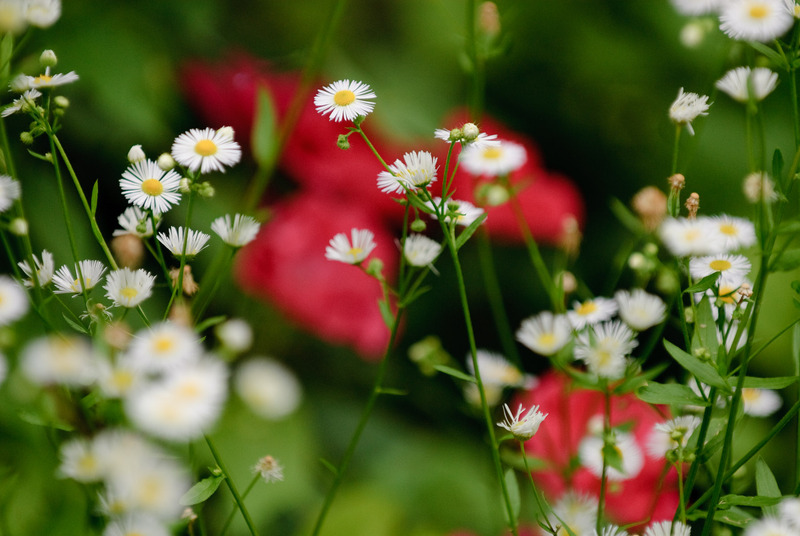 Have you experimented with the new camera profiles form Adobe? Perhaps the Camera Vivid or Camera Landscape profiles would perk up the flower? I did some work on an orange flower and posted the results on my webpage. The profiles do tend to perk things up. Just a thought! Have you tried printing? I recently had some similar photos, reds totally blown on my MacBook LCD, even though the ProPhotoRGB histogram showed nothing was close to clipping. You’re right, dynamic range doesn’t seem to be the problem. Popped in to Photoshop and turned on proofing for my Epson R1900, turned on Gamut Warning, and very little was out of gamut. Switched to my monitor’s profile and the whole image turned ‘warning’. Sure enough, it printed great. Thanks for your *great* pages about color management, btw! I learned so much and have linked others to them countless times. Thought about writing a book? 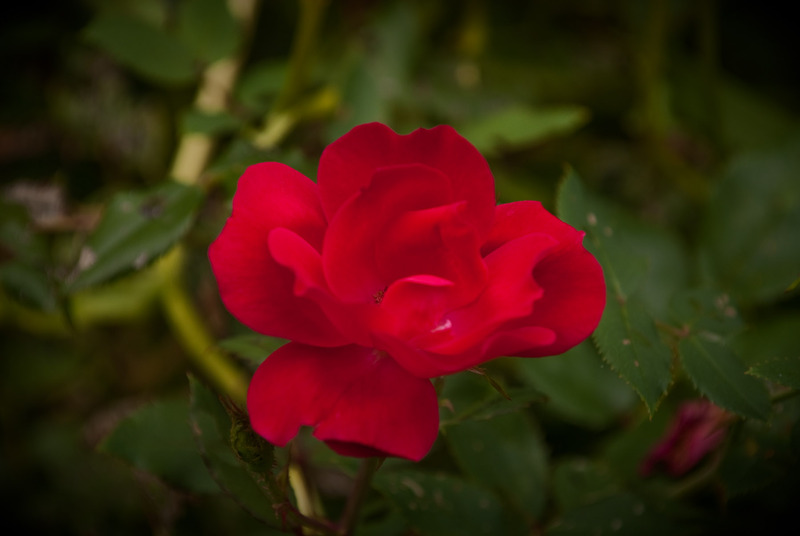 I think your red flower experience is related to gamut clipping in sRGB. The global exposure reduction is bringing the reds back in gamut at the cost of darkening the entire scene. You might like the result better if you use the LR HSL adjustments (saturation and/or lightness) to bring the reds back into gamut without effecting the rest of the photo.